Well, nothing fantastic got finished last night... but tonight in my Operating Systems class I got extremely bored, so I designed a Genetic Algorithm to evolve a program that plays the stock market. Well several programs with several different evolutionary patterns but that just minutia. Since the class was really long, I also got do design a client/server model and some protocols to handle distributed computing for the GA, because the algorithm could be done VERY fast with parrallelism. GAs interest me and I've never coded one before, so I'll probably end up making this program eventually just out of an insatiable curiosity (programs that evolve are just plain cool). Well, there aren't going to be many setbacks from Halo2. I haven't played it since the saturday after it came out. Unfortunately I have still managed to be rather unproductive in my own coding. I did get some more websites to work on for other people, and those are going along nicely (just slower than my usual pace). I put personalBookshelf back up. The database was lost, so my shelf is hardly up to its normal standards. I figured I'd put it up just to keep track of my own stuff even if no one else bothers to sign up. It's been just around 50 hours since I saw a real person (odd turn of events), and as always this leads me to think too much. I came to some unpleasant conclusions, so I think I'm going to be coding quite a bit tonight once I'm done with a commissioned site I'm doing. Hopefully I'll have something to announce when I'm done. Halo2 comes out in like half an hour. You know my views on coding, and well... Halo is the most well-written piece of software I've ever encountered. It used to be the only game I played. But now Halo2 is coming out. Needless to say, production is about to start a sharp decline in, now 28 minutes. My appologies. For some reason I've gotten it into my head that I can write a program to solve a problem that has been proven to be undecidable. It's the Post Correspondence Problem (PCP) for those curious. It seems to me at this point that the proof used to determine that PCP is unsolvable contradicts the Church-Turing Thesis which I believe to be true. These bugs had been around for quite some time, and I'd been tossing around the concept of how to fix them in my head for a while, so they just fell together very nicely. Onward and upward with BDP progress! I just finished writing and testing a Whitespace Compiler/Interpreter for one of my classes. It was written in Flex/Bison and I'll probably convert it to the real thing (because we only implemented a weird subset of the language) and post it here. Something else to note is that WS doesn't move well between Windows and Unix because windows likes to change LF to CRLF when you save a file. Mad props to Hackman (awesome Hex Editor) for helping me figure out that problem that would have been a major hassle otherwise. The reason it's been a little quiet on the site the last two days is that I was assigned a major project for my Assembly-Language class. We were given about a month so that we could handle it... I just finished it (w00t for two days :P), so I'm not going to have to worry about it holding back my code anymore. Join me in a hearty belly-laugh at "higher" education. Enough griping... onward with the code! Got some Brainfuck code you want to run? That took way too long (problem is slightly harder than it looks), but I have an entry. It works flawlessly and is 161 bytes. Not entirely horrible considering I just learned the language a couple of days ago, but it pales in comparison to the submissions that have gotten as small as 50 or 52 bytes. Possibly still a competitor because of the scoring method (but I doubt it). I wrote some tools to help make this cooler. I wrote a bfParser script that takes just the code out of a bf file, so that one version can have all the ugly comments, and a cooler-looking version (as well as a one-line version) can be generated. There's other features too, check it out if you're into BF. 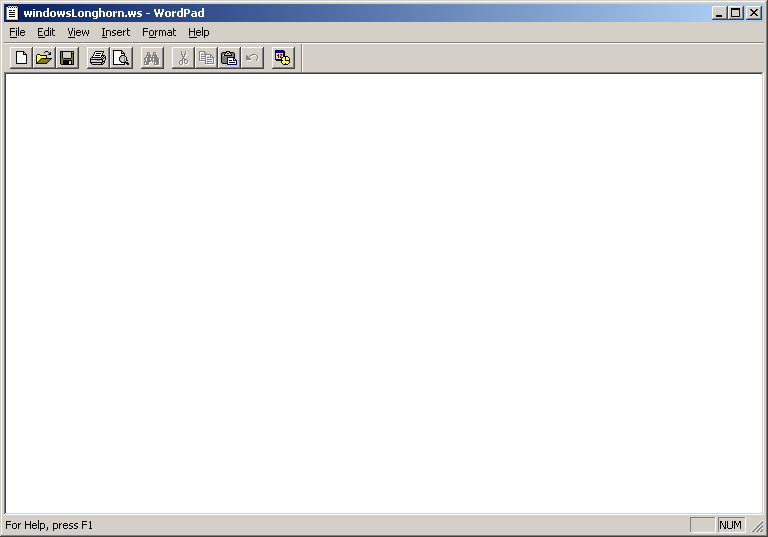 Finished my first Whitespace program. It was a little hariy (which is why this post is at 5:30am), but I got it working. It prints out Fibonacci Numbers one per line each time the user hits enter (far cooler than "Hello World") until the byte limit is reached, where it just starts wrapping around and the fun is over. To make it so I could actually read what I was writing, I wrote it in "english" and made a Perl script to translate it into actual whitespace and out again. It is a pretty cool script if you plan on coding in whitespace and can be found here. In the future, I may add the syntax to the script so that the returned file can have legible line-breaks after each full instruction. I also have the original version of my code that is commented if you want to see more detail. Some of the comments are zany because I started writing it to be a real .ws file, but with my parser script, I can comment freely, so they become more legible in parts. The original script is here. If that is too boring, I also wrote an operating system in whitespace that is a clone of the future Windows Longhorn OS (only mine runs a little faster). See... here is a screenshot of the code. Brainfuck (also known as BF) is a totally cool Turing-complete language that I learned today. "Hello World" programs are lame, even in Brainfuck... so for my first program I decided to compute and print the first 7 Fibonacci Numbers. I just finished creating the first experimental skins for the site. They are pretty basic and only change the colors for now, but they're kinda cool to look at. BDP is coming along slowly but surely. Puzzle Fighter is infinitely more difficult to write than Tetris... might clone Tetris later too. As always, school gets in the way of my education (especially during weekdays). Today's waste of time was implementing the traversal & insertion functions for a binary tree. That's pretty lame-easy even though we were doing it in assembly (use the stack and everything is fine with recursion). They gave us till two weeks from today to finish this thing as opposed to the usual one-week duration (this was supposed to be oh-so-tough). I just finished it, total time was around 2 hours 45 minutes. Since school is a joke and is clearly selling me a diploma (not an education), I now have two more weeks before another lab... so look for a slight speed-up in Block Drop Palace's production. I did a little more work on Block Drop Palace. Breakers and diamonds work, and Gems are starting to be detected. There are two known errors (neither of which I expect to be very difficult to fix) and then the remainder of the gem functionality, then I think it will be 'playable'... which means it's like halfway done. There is no sound yet. Most of my coding time has been spent on even more stuff for other people's sites :( and a little on this site as well. I added an affiliate system for this site, it will track traffic in and out from link-exchanges, etc. My friend prompted me to do this cuz we're going to be affiliates when his site is up in a couple of days. I heard a guy claiming he did a 109 byte perl program (as opposed to my 140 which I am fairly convinced still might be second place). If his works this will be unfortunate. His hash-bang line is shorter, but that shouldn't be enough... hopefully his doesn't work. I wanna see it anyway though. Busy weekend in that "real world" thing starting tomorrow, so I'm gonna be away from code for a couple of days. Block Drop Palace was started and is fairly close to having it's first game done. One more weekend of work could probably get the basic functionality out of the way , and another could probably do all necessary spit-and-polish. The Perl competition ended about an hour ago. I haven't submitted anything in over a week, so I just have to hope no one else found out a better way than I did it. I've unfortunately been gettin distracted with a whole bunch of commission sites, which are pretty much community freaking service :/ I get paid $12 an hour at my co-op, that would mean these sites would be worth it if they only took like 4.8 hours. LAME. I'm not a webcoder anyway... ahh the things I do for cashola :(. I guess Block-Drop Palace (BDP) is going to be shelved for a little while cuz I told a friend I would try to have this site up by Friday, which means by... OMG! Tomorrow night! :-O, cuz I'm gonna be occupied all thursday/friday. Yikes. I better get started uploading stuff. I didn't see ANY humans today (with the exception of myself, of course :P). I spruced this site a little, then took three more bytes off of my small Perl program (down to 141 bytes now) and did mostly nothing till 9pm. Then I spent the last couple of hours starting the code for a new project. It's going to be a block-drop game (written in a way that it can easily become a block-drop suite) that greatly resembles Street Puzzle Fighter 2. I had messed around a little with the design before, but tonight I threw some code down and 800 lines later (don't worry, a lot of that is copied from my Gabriel project) I have a window that pops open with an icon and a tile and says "Block-Drop Palace" in the center. If there were more than one implementation of block-drop games to choose from (which there aren't) a menu would then show up that allows the user to select which one (this isn't fully implemented yet, just the background shows up). This project has been moving wicked fast considiering I've only put 3 or 4 hours into it. Reusable code r0x! :D I'll post updates on further progress here later. Oh... my solution to the second Google problem did in fact turn out to be correct (w00t! :D)... but there is no third problem :( they just asked for my resume. Okay, so the first real entry I guess should be about itself. I added the codeBlog to the site! It's currently password protected, but all members can view it, not just Admins. Yesterday, amidst coding several different things for school, I solved even more Google Labs problems. This particular group started on a bulletin-board in Cambridge Mass. The answer to the (riddle?) was a URL, which I got correct and got another problem from. I then solved that problem which is a password to a site. My DSL isn't active 'till monday though, so I'm stymied for now.